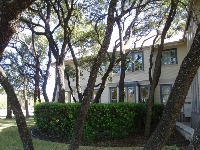 Foxglove Executive Suites is unlike most other office commons in the Austin area. Our building is a renovated turn-of-the-century structure (circa 1907) that was transported to its present location from Taylor, Texas and transformed into the office suites that has stood here for over 30 years! We pride ourselves on the "family atmosphere" that permeates the way we do business around here. We believe in good, old-fashioned service and calling our customers by name. That's because at Foxglove our customers are also our neighbors and colleagues. We strive to maintain good relationships with our tenants in a business-casual atmosphere where executives can conduct business, network with others, and form lasting friendships. Several of our tenants have been loyal customers for more than ten years, so don't be surprised if you hear some stories of the "olden days" here at Foxglove. Please refer to the testimonials on the next page to see what our tenants think of us. Our management, staff and tenants take great pride in our history and ongoing culture. Visit Foxglove now, and let us show you how we can serve your business!